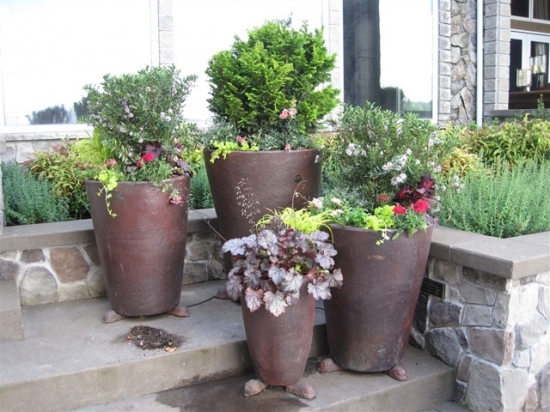 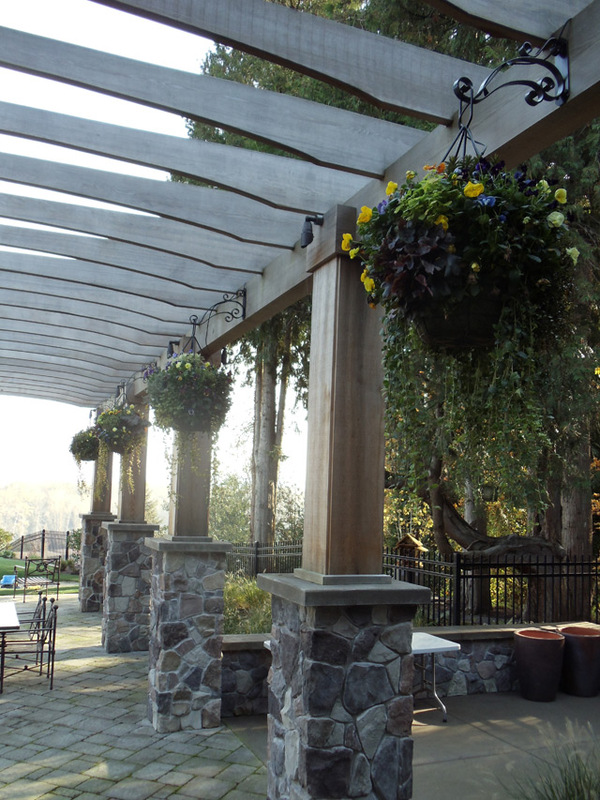 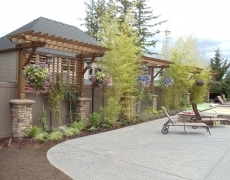 West Linn Residence | Innovative Landscaping Inc.
During a remodel, the owners of this beautiful residence located in West Linn above the Willamette River required a substantial reworking of their existing landscaping. 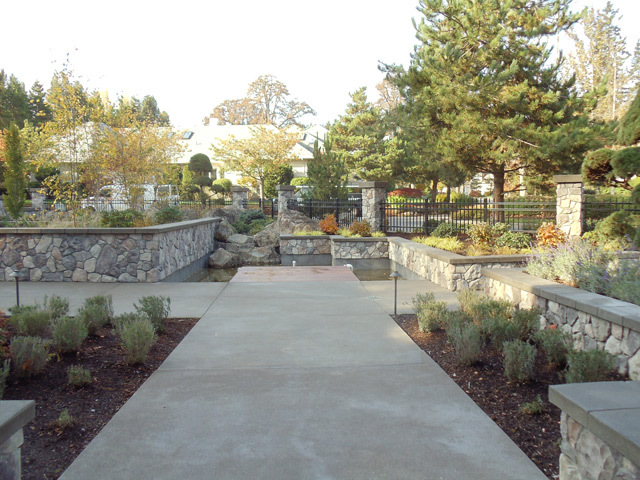 The project entailed extensive stone work, plantings, arbor construction and a municipally-required bioswale runoff pond. 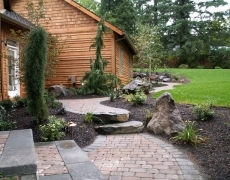 Meandering blue stone pathways and elegant plantings highlighted the natural beauty surrounding this residence. 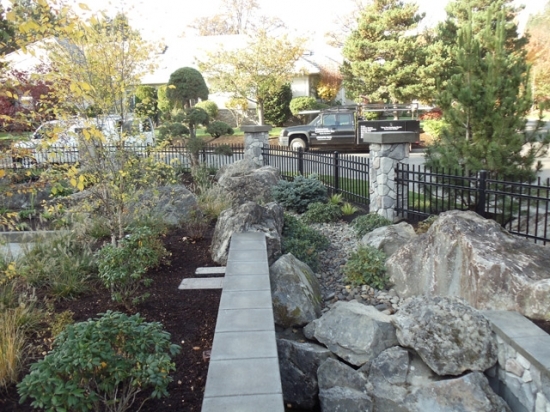 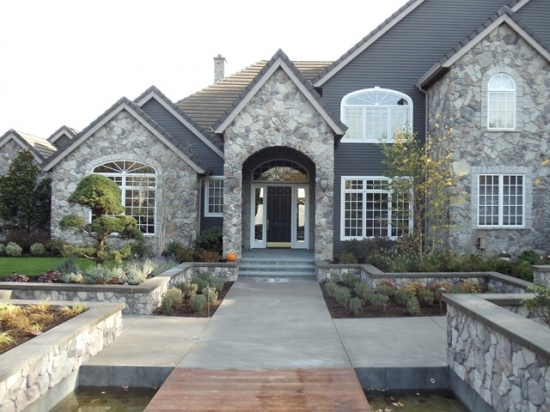 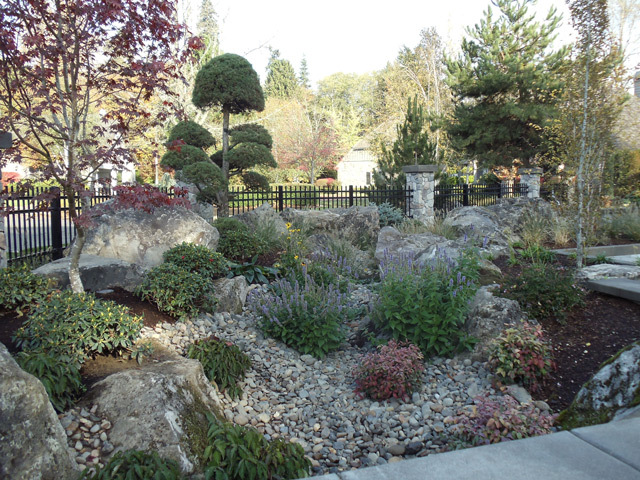 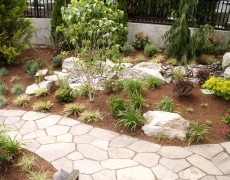 The front yard was given decorative cascade moss boulders and a dry creek bed. 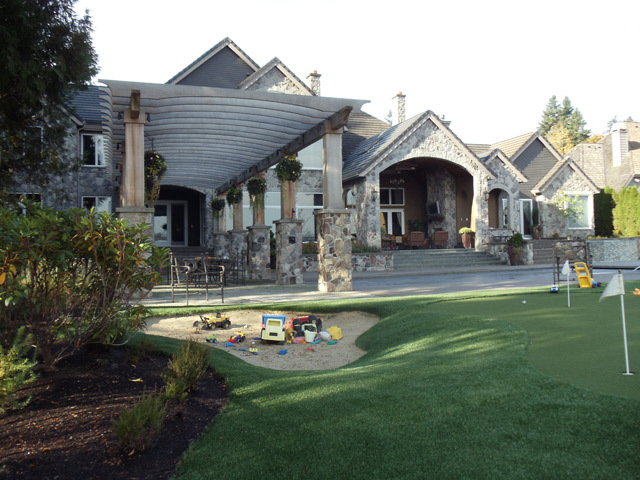 We also added a synthetic turf putting green and multi-purpose sand trap/play area that both the parents and children alike could enjoy. 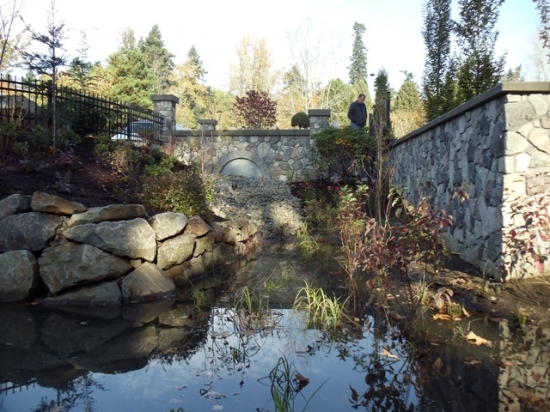 Night lighting, an irrigation system, and ornamental fencing completed this project.